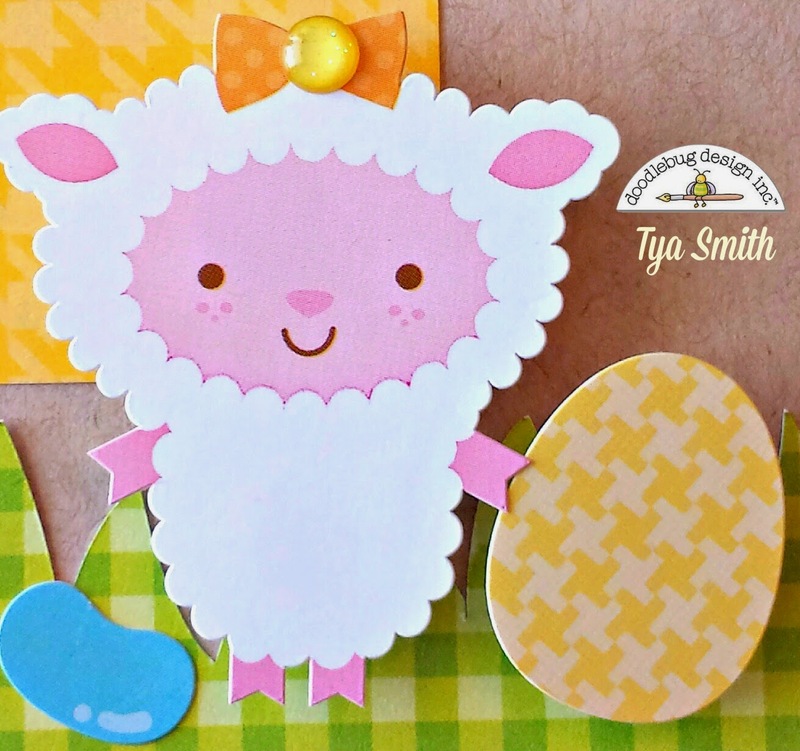 Hi there Doodlebug friends - it's my turn up on the Doodlebug blog today to showcase a fun and festive Easter layout featuring the new Easter Parade line. A fun tradition that I have carried on from my own childhood is to get a fancy new outfit for Easter Sunday. I loved going shopping with my own Mom for a frilly, beautiful dress to wear on Easter - so I had to capture the memory and tradition with my own kids. 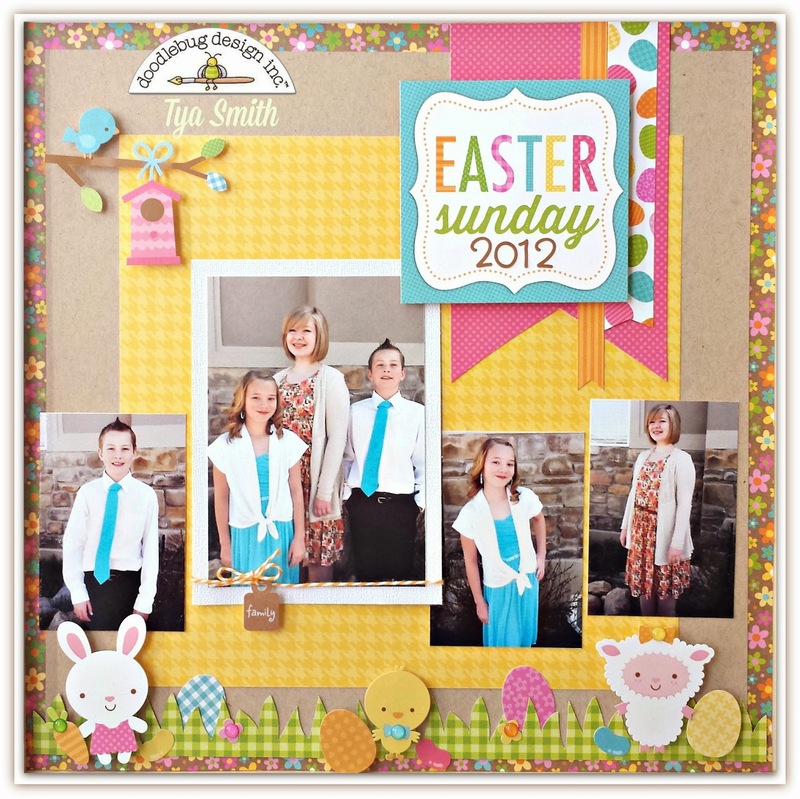 I decided to make a little Easter scene along the bottom edge of my layout - I cut a grass border out with my Silhouette and then added some eggs and flowers and jellybean stickers from the Icon Sticker Sheet - Oh and I couldn't resist adding some of the darling animals that come with this line as well - 2 darling girly animals and one handsome little guy - just like my own kids :) Bright Glitter Sprinkles were added for a bit of dimension and sparkle. 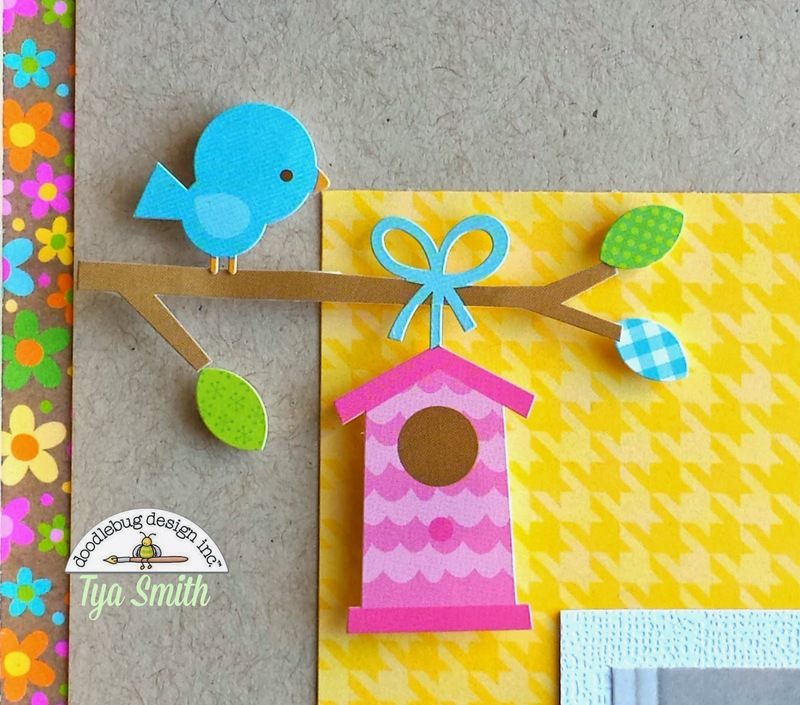 A cute little bluebird by a birdhouse sticker added a nice touch on the side of my layout. 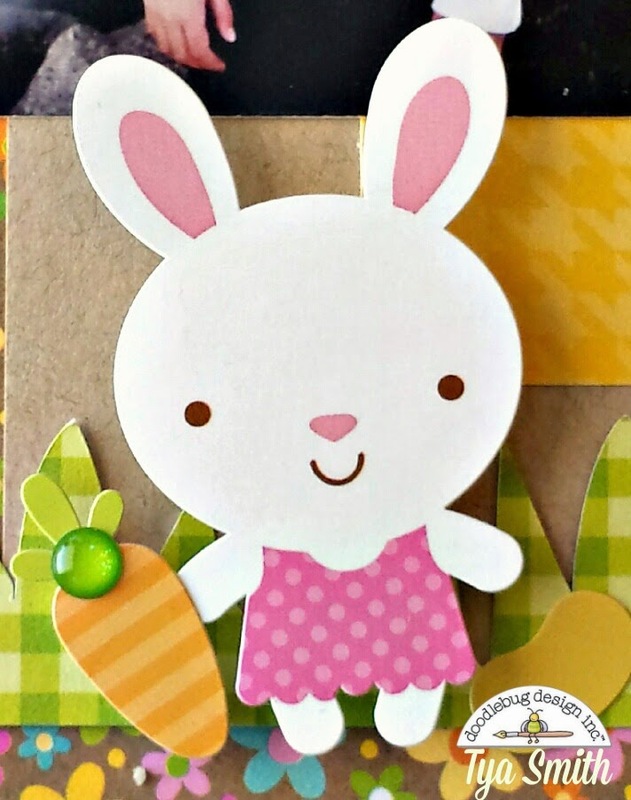 I then topped it all off with a few banner shapes cut from some of the lovely pattern papers and the Easter Sunday title is from the 4x4 Bunny and Friends pattern paper. I love using these for titles - so handy! So cute! Love how the blue in your photos pops with the papers and accents - lovely!! Sweet LO Tya, live it!!! I love your layout, Tya! So adorable!!! This layout is incredible - it has a touch of whimsy and a huge dose of classiness!! 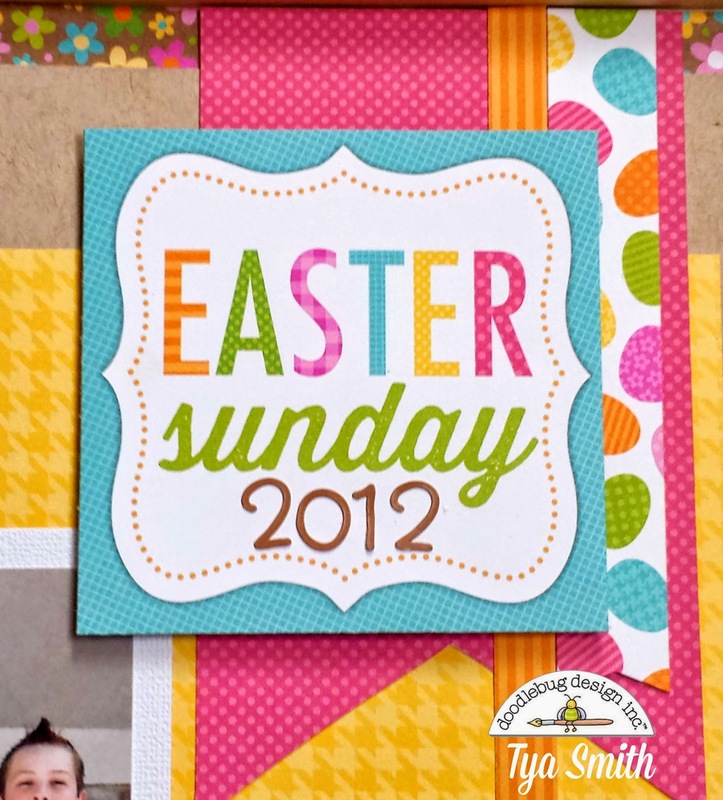 SO impressive and I just love Tya's work!!! OMG what an adorable LO Love the pics the kids looks so cute...love it when they get all dressed up for church and pose for the holiday sure make for fun scrappin' you did a fantastic super creative job too!! 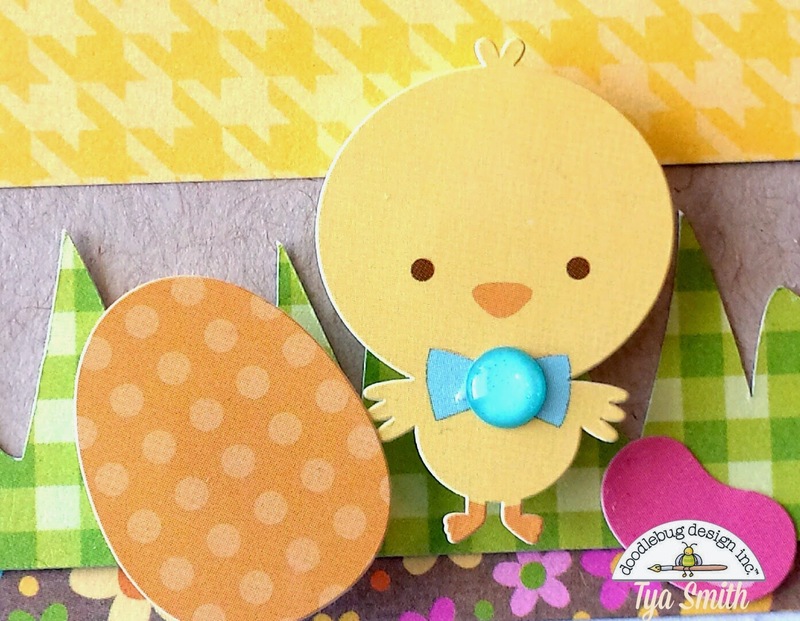 Love your papers, colors and embellishments you are a very talented scrappers. YOU ROCK!! What a lovely tradition Tya!!! Gorgeous children, but I love how you took the super busy flower paper and down it down making it super cute.